What is the goal of a spiritual practice? For me, the goal is wholeness. How can dating be seen as a spiritual practice? Is it about finding “the one” so you can be whole? In fact, it’s the opposite. It’s using the trials and tribulations (as well as the triumphs!) of dating toward becoming whole and deepening your relationship with the Divine, God, the Universe or whatever term you choose to use. Without a spiritual component, dating can be overwhelmingly daunting and frustrating. If we come from a place of being lonely and desperately seeking someone to complete us or to make us feel good about ourselves, it’s pretty hard. We often encounter disappointment, rejection and self-doubt…. how can we see the big picture? How can we put dating into a larger context so the focus is as much on the journey as on the destination (of finding a partner)? I believe that there are certain key elements. Be aware of your resistance to being single: I talk to many singles who are desperate to find someone. They are terribly unhappy and think that if they could just find the right person, all would be well. Because of their resistance to what “is”, they suffer. How would it be to see being single as an opportunity, not as a curse? How can you take advantage of this time to get to know yourself better and to explore what’s meaningful to you? You can embrace being single and hold the vision of great love with a partner. Practise compassion toward yourself and others: When dating it’s easy to be hard on yourself and to listen to your inner critic. You’re not enough of this; you’re too much of that. etc. etc. How would it be different if you were actually gentle toward yourself and if you chose to embrace your value? And how would it be different if you saw other singles with compassion, knowing that they face many of the challenges that you do? How can you get out of your own way in dating? We often create obstacles to love with our limiting beliefs and attitudes. When you hear yourself saying “all men…” or “you never” or “you always” that’s a sign that there’s a part of you that is making generalizations that probably aren’t true. Are you caught up in believing that all the good ones are taken? That if people really knew you they wouldn’t love you? These limiting beliefs and attitudes often run in the background and negatively impact our choices and how we are in the world. When we have a spiritual practice we become more aware of these thoughts and we can make a conscious choice not to be led by them. Gratitude: how can you be grateful for what you have – despite being single? It’s easy when you’ve been disappointed in dating to focus on what you don’t have, rather than what you do have. Making regular gratitude lists will help you see the big picture. Trust: how would dating be different if we had radical trust that we are being supported and that we are given what we need? I believe that trust gives us peace of mind. My clients often wonder why it’s taking so long for their soulmate to arrive. 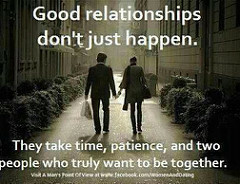 I think it’s about divine timing and true readiness on both people’s parts. Joyfully anticipating being with our true love, and trusting that all is unfolding as it should, allows us to live happily and gratefully in the present moment… and to become truly ready to be in the relationship we desire. We have a choice. We can see dating as a necessary evil to find our beloved partner, or we can choose to see it as a spiritual practice. What can you learn from the experience of dating? How can you use dating to become more whole? This free report will give you practical tips for dating. Request it today! 100% Privacy. Your information is safe. Dev and Rachel need me! Always Hungry – for Love?